The gold Half Sovereign is one of the oldest coins that are still minted to the present day, and as such is something of an icon for those in the know. The sovereign itself dates back to 1489 and the reign of King Henry VII. The half sovereign, which has a face value of half the sovereign (half a pound), soon followed, as it was introduced in the mid-16th century under the reign of King Henry VIII. By 1604, however, production of sovereigns were discontinued for more than 200 years, and only introduced again during the massive overhaul of British coinage in 1817. 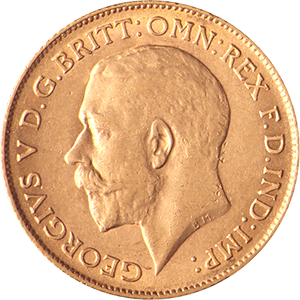 The coin was still in production until the interwar years of the 1920’s, but was soon discontinued again, with the exception of rare events, such as coronations. It was eventually re-introduced in 1980, and has been in production ever since. The design typically has the reigning monarch on one side, with a figure of Saint George slaying of the dragon on the other. This design, by Benedetto Pistrucci, dates back to the 1820’s, and remains standard to the present day. 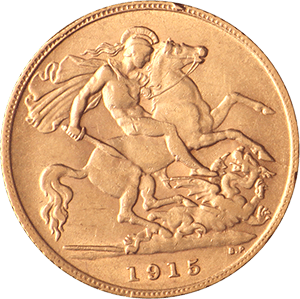 By far the largest number of gold Half Sovereigns released were in 1982, when 2.5m of them were circulated across the country. Until 2000, the half sovereign was relatively sparsely circulated, when larger numbers were again produced. This makes some years of the coin more valuable and sought-after than others. With a high purity of 22 carats, a gold content of 0.1177oz and a weight of 3.99g, they are one of the most reliable investments of all gold coinage, retaining their value over the years beyond the value of the gold content itself. Each sovereign product is minted and verified by the Royal Mint itself, one of the most respected in the entire world.